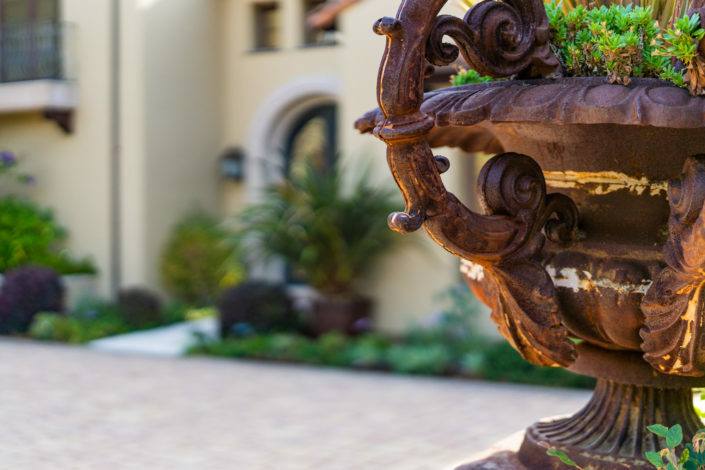 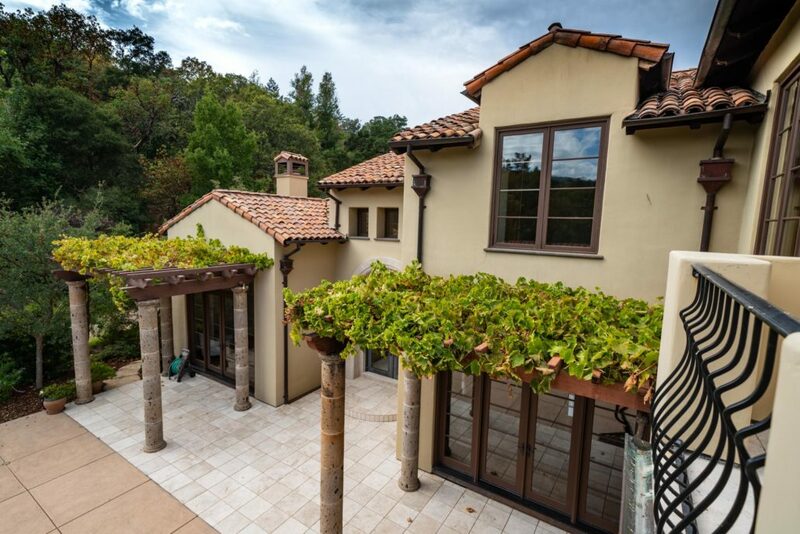 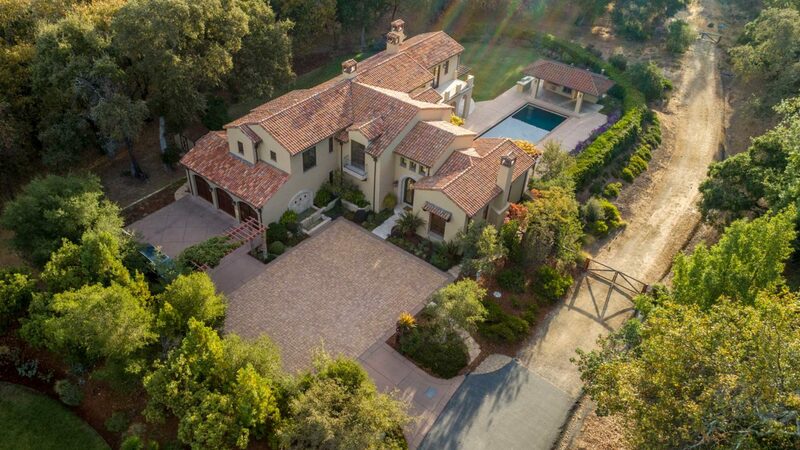 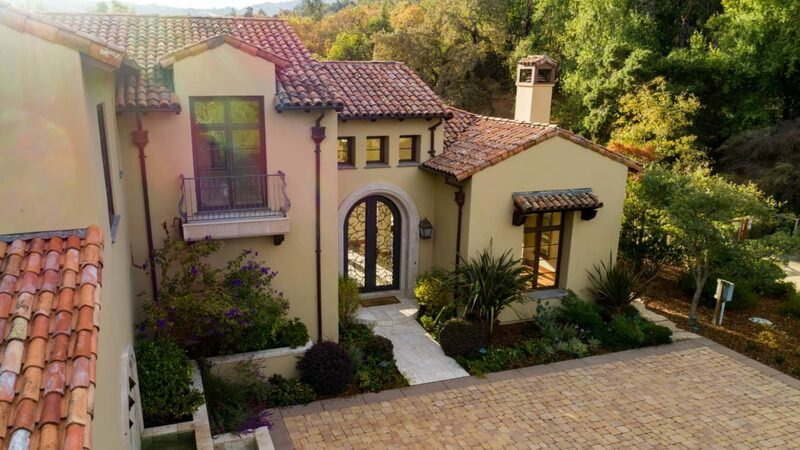 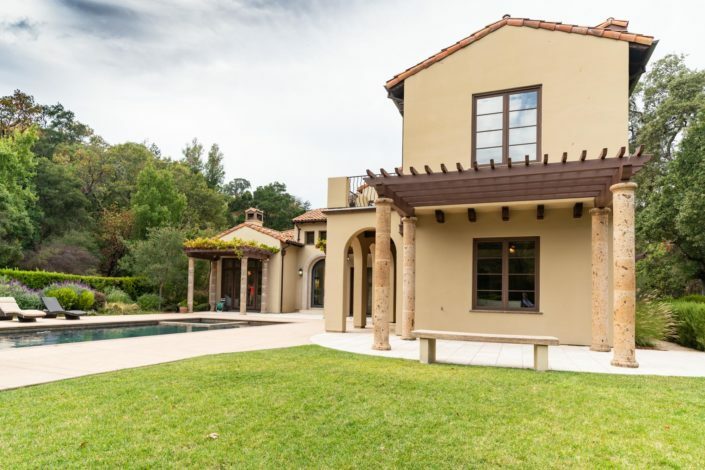 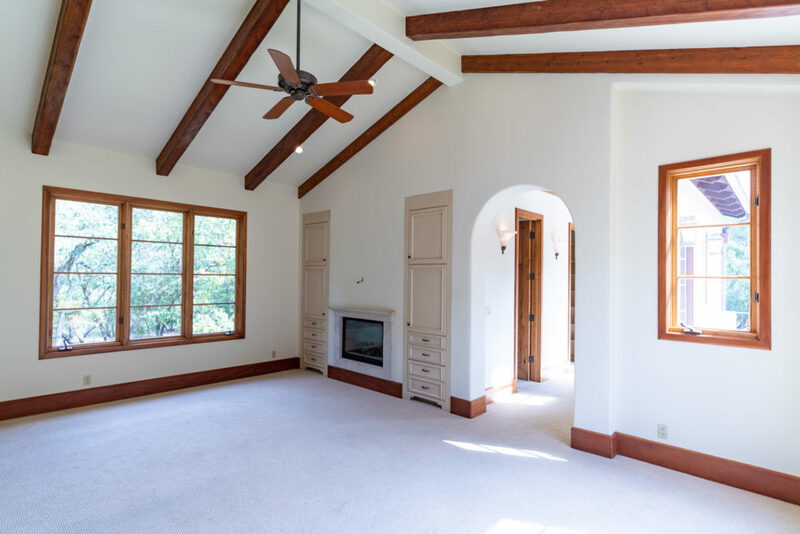 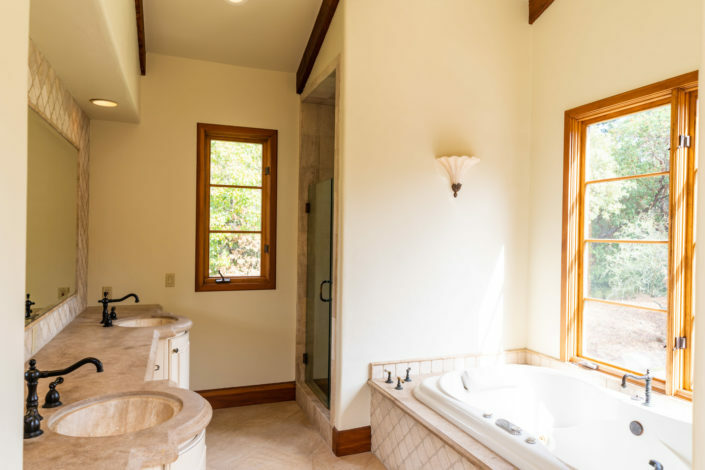 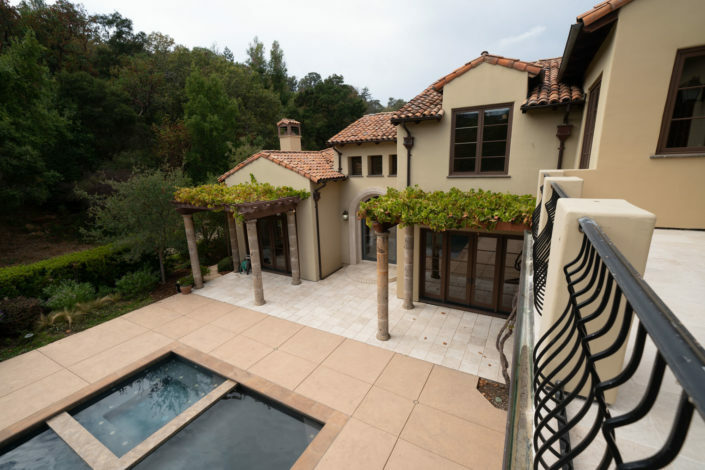 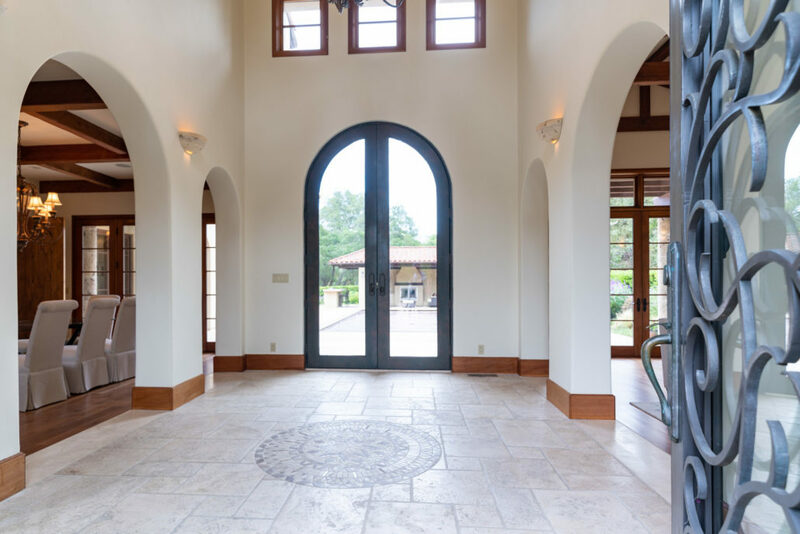 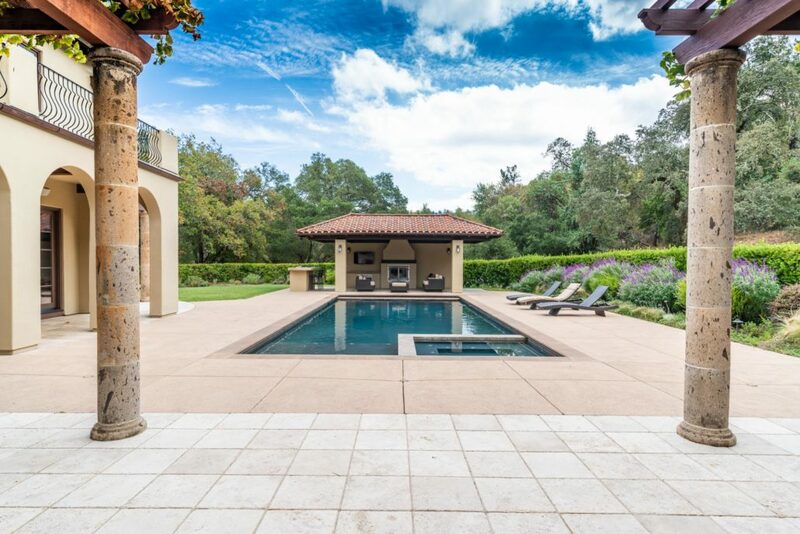 This attractive Tuscan Villa is situated on apx 2.75 acres of land within the Blue Oaks subdivision of Portola Valley. 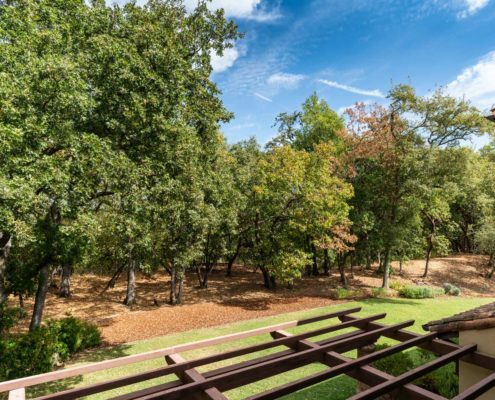 Located just off Los Trancos Road and at the end of a private road, this 16 year-old estate enjoys privacy amongst a grotto of majestic oak trees and is surrounded by 285 acres of open space. The open floor plan, with its high ceilings and abundant natural light makes for excellent day to day living as well as entertaining. 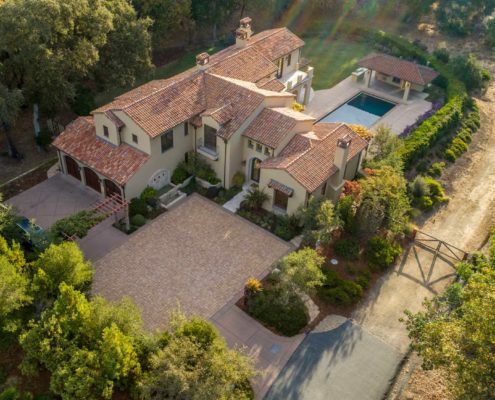 Equipped with an oversized 3 car garage and large motor court, the property is well suited to accommodate many guests. The rear yard centers around a glistening pool and is served by an open-air pool cabana with a cathedral ceiling, fans, gas fireplace, barbeque, bathroom and wall mounted widescreen tv. 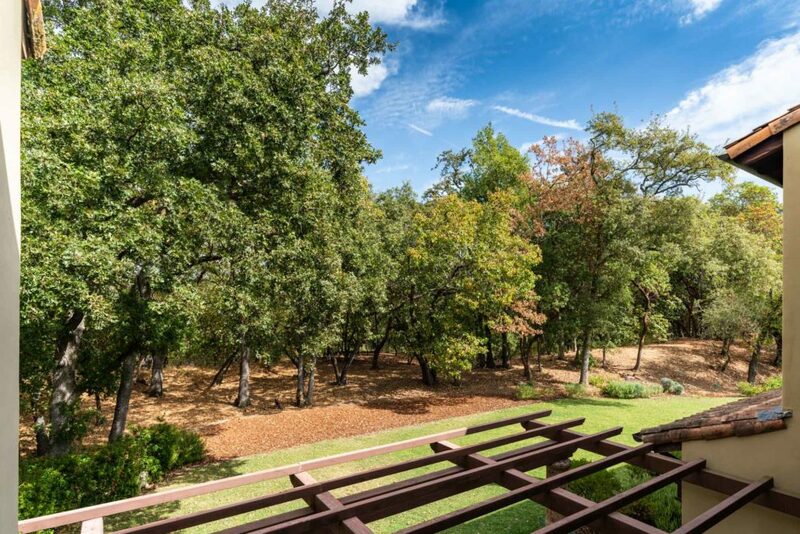 There are few places today where one can truly find silence and solitude and this is one of them. 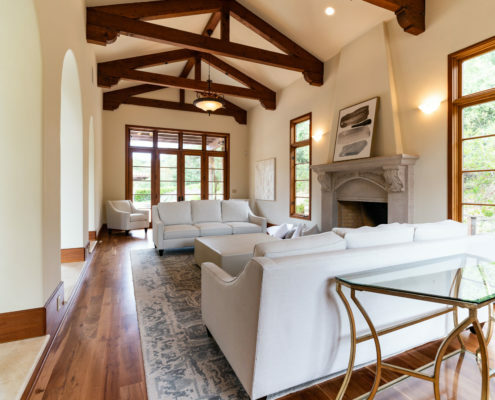 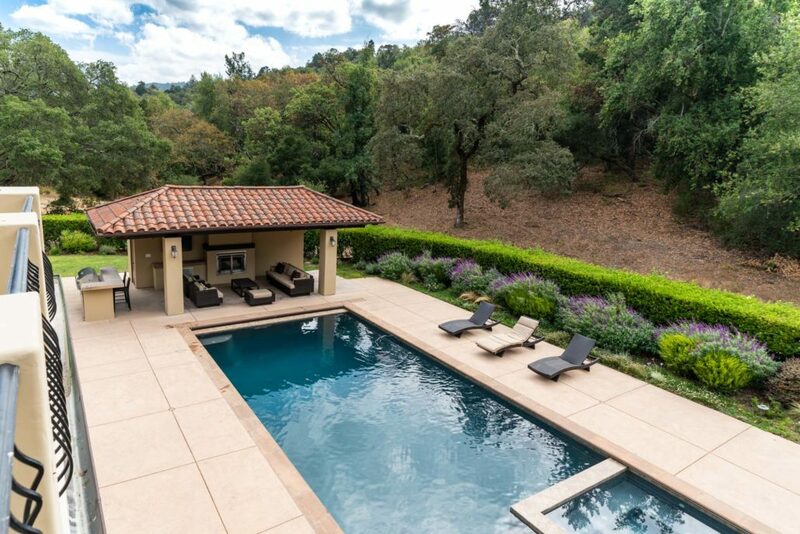 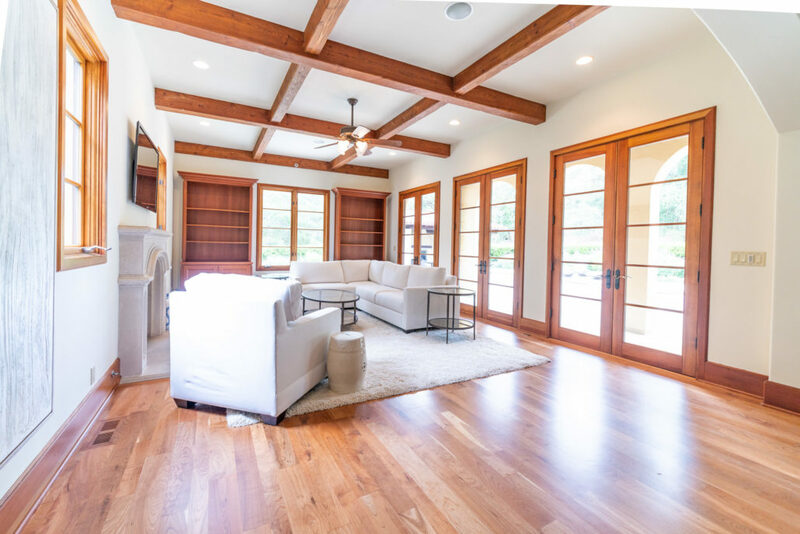 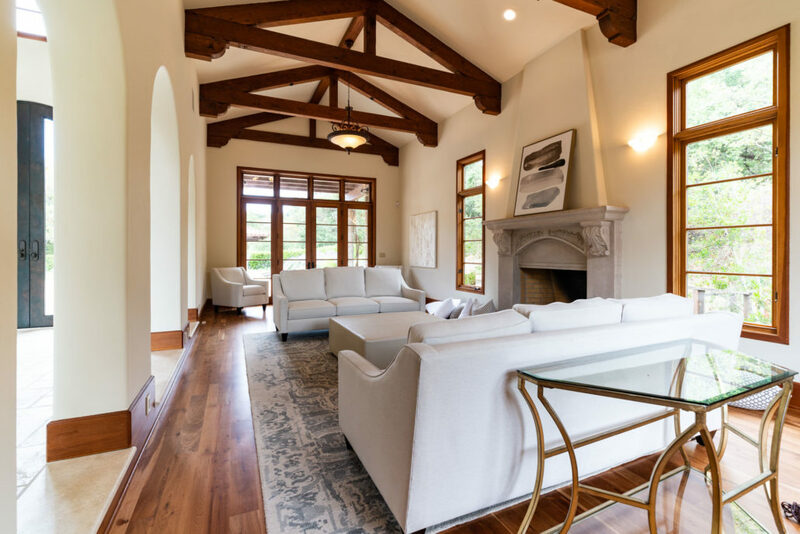 Located only a short distance from the community pool and Portola Valley’s hiking and riding trails, this estate offers the perfect blend between access to Silicon Valley amenities and pristine nature. 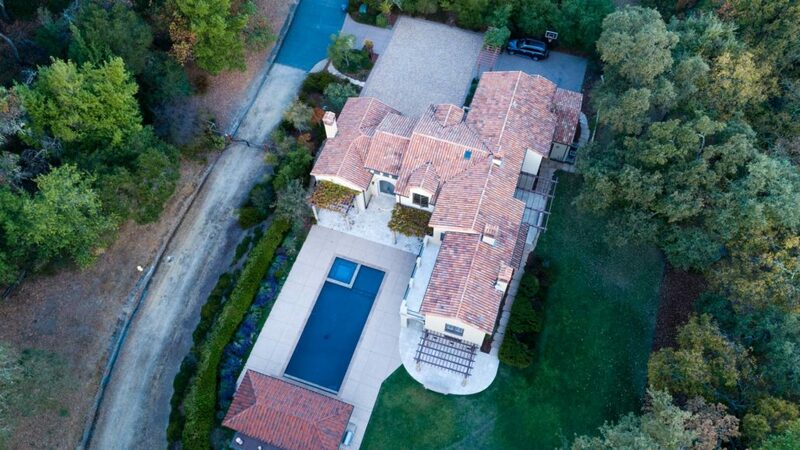 We were very pleased to assist our clients in purchasing this fantastic property.